Is your hard drive slow? Unstable? Or offers low storage? Do you need RAID storage for insuring your data against disasters? Whatever your needs be, Memory4less.com has a solution for all your storage problems. Data is the equivalent of money in the digital world. Securing data is of utmost importance for all companies. However, this data cannot be kept secure on clouds or hosted servers. Small and large enterprises require dedicated servers with backup storage solutions to ensure complete security for their data. They need to keep the data secure and stable while working on their projects. Quantum, a reputed Hard Drive manufacturer, provides enterprise storage solutions at unbeatable prices. 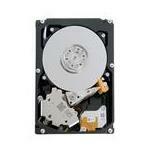 These industrial-graded hard drives produced by Quantum are used for both commercial and personal purposes. These Hard drives range from 250GB to 5TB and provide optimal speed for fast data-fetching. 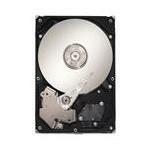 However, if you need even faster drives, you can go for Solid State Drives (SSDs) or NAS Drives for shared systems. Browse below to view the complete range of Quantum Hard Drives for Servers. Exceptional service, free shipping* and 100% customer satisfaction guaranteed!